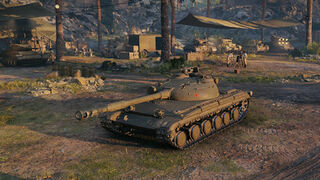 The Object 430 is a Soviet tier 9 medium tank. The Object 430 leads to the Object 430U. The Object 430 is drastically different to its two brothers, but by no means weaker. It sacrifices accuracy, aim time and turret armor for slightly improved hull armor and camo, along with the high damage-per-shot and good sustained damage output. It is an excellent tank, even bad players can sometimes do well in it and in hands of skilled players it can be godlike. 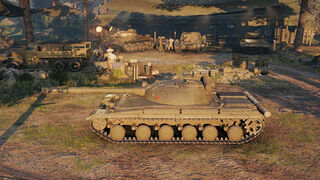 In current meta, it is widely considered to be among top 3 best tier IX mediums. Ideally you want to make use of the tank's decent turret armor and brawling capability. Choose spots where the lack of gun depression won't hamper you and you can expose only your turret when firing. 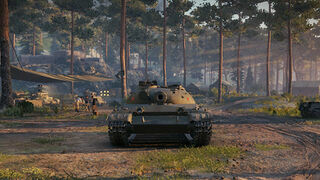 With its good speed and camo, the tank is a serviceable scout and a good flanker. Make sure to maximize your strengths and flex around the battlefield as needed. In comparison to its two sister tanks, the Object 430 has the highest alpha damage, and best effective frontal hull armor. Engine provides a tiny boost, and stock tracks can carry everything so don't bother with them (and they don't give any bonuses to hidden stats), so you can practically consider this tank to be elite from the start as far as performance goes, which is extremely rare. Radio carries over from almost every other Soviet high tier vehicle, research if you haven't grinded any other lines. The Ob'yekt 430 was one of several experimental Soviet tanks designed to succeed the prolific T-54 medium tank, which had become the standard medium tank for the Soviet Army after the end of the Second World War. 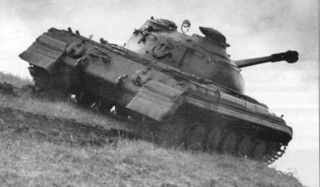 As the 1950′s came and went, however, it became more and more clear that the T-54's armament, maneuverability and armor configuration started lagging behind those of its Western counterparts. Therefore, several tank development programs were initiated with the goal of creating a vehicle that would outperform anything it could meet on the battlefield. At the ZIM (Zavod imeni Malyshev - Factory in the name of V. A. Malyshev) in Kharkov, a new department called KB-60M was created specially for this purpose. It was led by the plant chief designers J. I. Baran and A. A. Morozov (who had worked on the T-34, T-44, and T-54 medium tanks). In 1953, KB-60M submitted a preliminary proposal for the new tank. The project was officially started in April 1954 and received the designation “Ob'yekt 430″. The sketches were ready by the end of 1954, and in May 1955, work began on the technical project itself. This all was finished by June 1955 and a wooden mockup was made. Armor protection was to be proof against 100 mm armor-piercing shells from a minimum distance of 1,000 m from the front. The hull glacis plate was 120 mm thick, while the ballistically well-shaped turret had a maximum thickness of 240 mm. The 100 mm D-54TS (U-8TS or 2A24) rifled gun was selected as the armament, in common with other prospective T-54 replacements at the time. 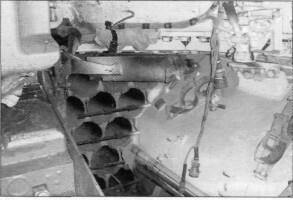 This was backed up by the "Metel" (Blizzard) 2-plane gun stabilizer, which allowed the gun to be automatically relaid on a target after being elevated for loading, a TPD-43b (TPDMS) stereoscopic gun sight, TPN-1 gunner night sight, and an automatic ejection mechanism for spent shell cartridges, expended through a hatch in the rear of the turret. A total of 50 rounds were carried. A 14.5 mm KPVT heavy machine gun was also installed on the turret for anti-aircraft use. The first two prototypes were finished in 1957, and they received the designations “Ob'yekt 430-1*Z” and “Ob'yekt 430-2*Z” ("Zavod" - Factory testing). These prototypes were tested by the factory and were also underwent comparison tests with another experimental Soviet tank, the Ob'yekt 140. A number of problems (especially regarding the engine) were uncovered during the trials, but overall the tests were considered a success. By June 1958, the plant was ordered to build 3 more prototypes for the military to test on proving grounds ("Poligon" in Russian). These were designated “Object 430-1*P, 430-2*P and 430-3*P”. These prototypes were ready in December 1959 and were tested thoroughly in two stages from March 1960 to May 1961. 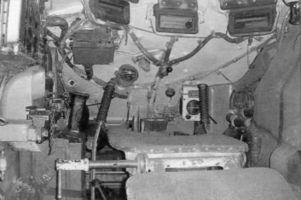 Eventually, the conclusion of the testing committee was that, while all the development program goals were met and the Ob'yekt 430 was essentially ready for serial production, it did not represent much of an improvement over the T-54. Furthermore, other experimental tanks (Ob'yekt 165 and Ob'yekt 166 – otherwise known as T-62A and T-62) had also passed the tests by that time, but they also had the advantage of sharing components with the T-54. 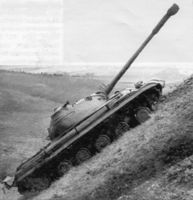 This, and the fact that there was still some more modernization potential left in the T-54, led to the Ob'yekt 430's cancellation on 17 February 1961. 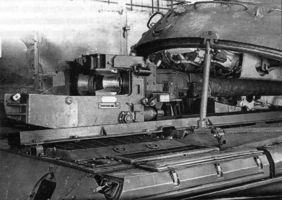 In addition, the KB-60M, on its own initiative, attempted to fit the new 115 mm U-5TS (2A20) "Molot" (Hammer) smoothbore gun also used by the T-62. The resulting tank was designated Ob'yekt 435 KB-60M also undertook design studies for an up-armored Ob'yekt 430U (“Ulushenniy” – improved, or “Usileniy” – reinforced) with a 122 mm gun. 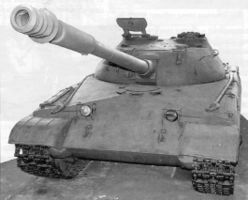 The frontal hull armor was to be improved to 160 mm, and the turret was also reworked in order to improve its protection and to install the 122 mm D-25TA gun, also used on the T-10 heavy tank. The conclusion was that it would be possible to create a medium tank with the armor and firepower of contemporary heavy tanks. 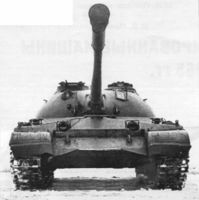 This would lead to the Ob'yekt 430A, later renamed Ob'yekt 432, the immediate predecessor of the T-64 standard tank. A single example of both the Ob'yekt 430 and Ob'yekt 435 are both preserved in the Kubinka Tank Museum, near Moscow. This page was last modified on 27 February 2019, at 11:29. This page has been accessed 81,338 times.